From vineyards aged between 70-100 years old, 'Tiglineri' is Enzo Boglietti's Cru Dolcetto par excellence. 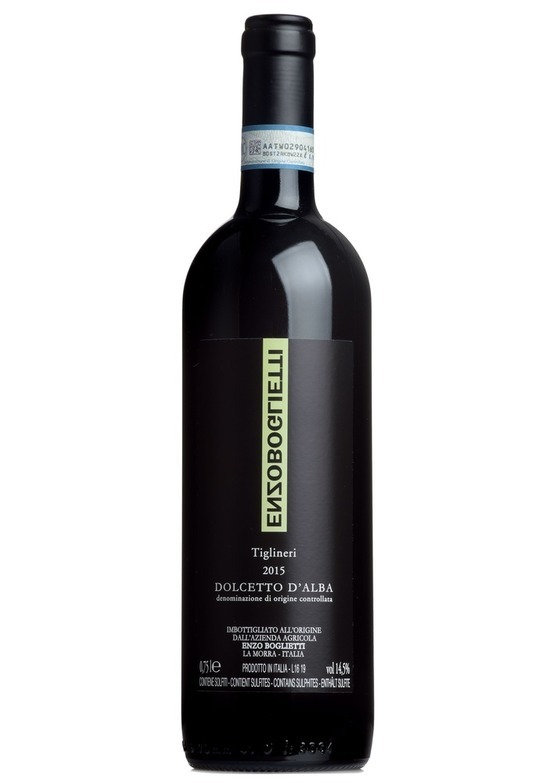 Retaining similar varietal expression to his white label Dolcetto, here Enzo has created a focused, aromatically complex and intense old vine expression of the variety which highlights just how powerful and generous Dolcetto can be. "Piemonte's 'everyday' red grape, Dolcetto , produces joyful, juicy, softly textured wines that are simply delicious, and every bit as good on their own as they are as an accompaniment to food. Picked in a stunning year, like 2016, by a top Barolo producer such as Enzo Boglietti from fruit grown on very old vines, and the result is quite simply off-the-scale good. This is still joyful and gorgeously juicy, the texture rich and silky, yet there is also a superb concentration, density and length to this wine. A very serious Dolcetto to enjoy immediately or in 3-5 years' if you have the patience! " - Ludovic Surina, Mr.Wheeler.